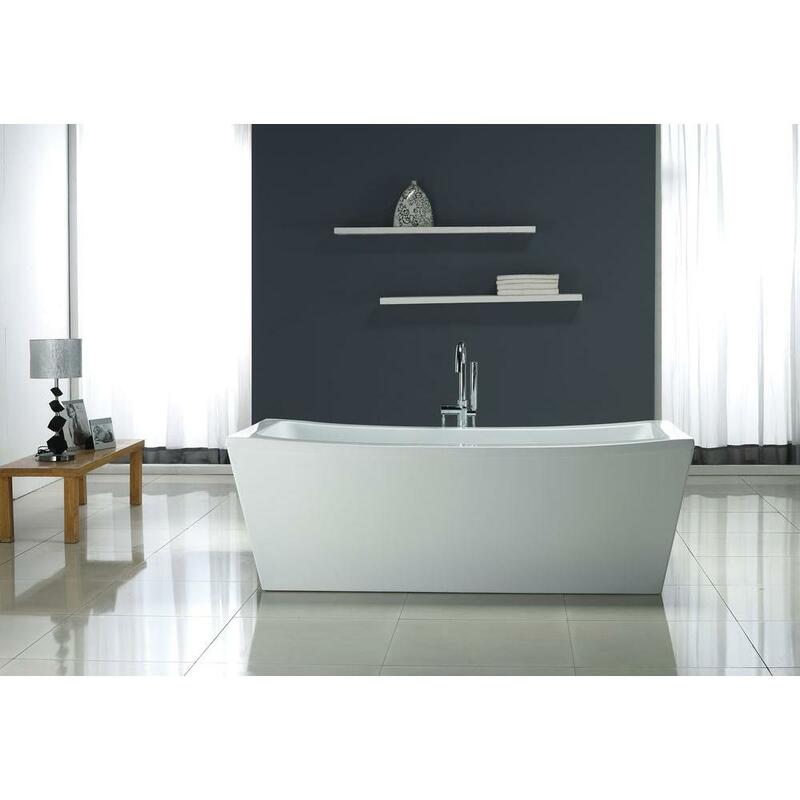 Install a stylish addition to your bathroom with this transitional acrylic freestanding bathtub. Its design features modern lines that create a sleek profile and add luxury to your bathroom. The acrylic construction is reinforced with fiberglass for a durable finish that will not stain or fade. The tub has a pre-installed chrome drain and overflow, making installation convenient and easy. There is a deck that can accommodate different types of deck-mounted faucets (sold separately).